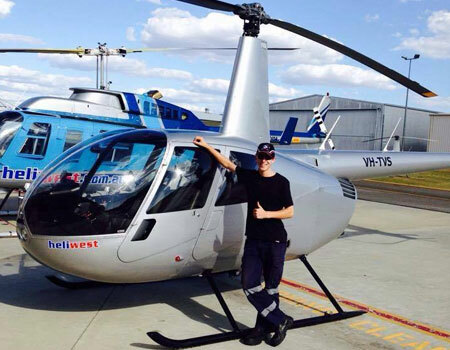 In search of a new career path, Liss booked a trial flight at Heliwest at the end of January 2015. It only took half an hour in the air to convince her to leave the office desk for a pilot’s seat and she embarked on her training at the start of February 2015. Initially working full time as an structural engineer, Liss flew at the weekends and studied during the evenings. However, it didn’t take long for her to commit fully to becoming a pilot and quit her day job, allowing her to complete her CPL in four months. 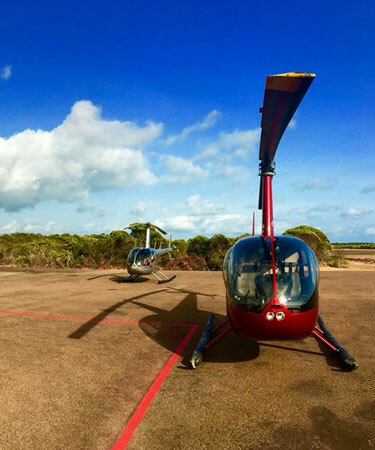 Liss was lucky enough to find work shortly after passing her flight test and gained experience ferrying R22’s across the Pilbarra and flying geologists and botanists around in a R44. 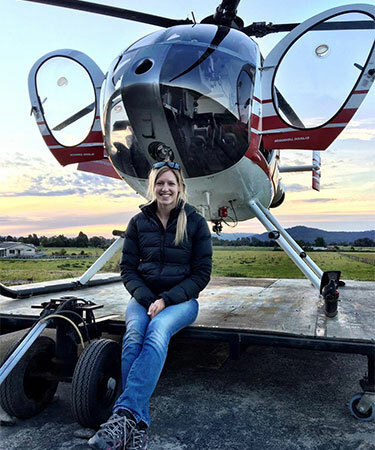 A memorable adventure early in her career was arriving into Jandakot after flying across the Nullarbor in a Robinson R22 from Tyabb, just outside Melbourne. Having always wanted to live and work in New Zealand, Liss undertook the additional mountain flying and sling training to convert her Australian CPL and finally scored a dream job on the South Island, swapping one west coast for another. After becoming endorsed in the MD500E, Liss now conducts scenic flights around the Fox and Franz Josef glaciers and continues to enjoy the beautiful scenery of the Southern Alps and West Coast rainforest. Ben started his license on January 4 2015 and successfully passed his flight test only 5 months later in May 2015. 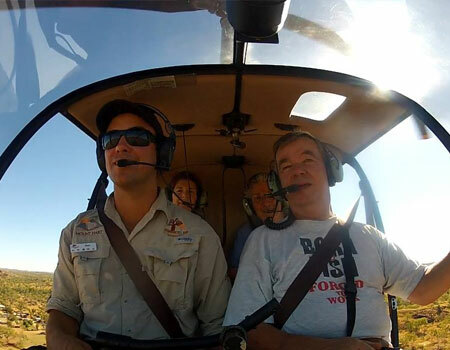 In the same month of completing his commercial pilot licence with Heliwest, Ben secured his first job and started flying scenic flights over the Bungle Bungles in Western Australia. After the season finished at the Bungle Bungles in early September, Ben started flying scenic flights over the pinnacles. Looking forward, Ben is keen to head North again in early April to start a new adventure over the dry season. His eyes are now set on a Turbine endorsement and perhaps an instructor rating in the near future. Ever since he can remember, Helicopters captured Jeromes imagination. 20 years on, Jerome decided to take a Trial Introductory flight with Heliwest in September 2013, following which he was hooked, not able to leave the experience there.. Between working on the farm and training in 2014/15, Jerome achieved his Commercial Pilot Licence on March 3 2015. Shortly following a successful pass on his flight test, he found his way up to Kununurra and was lucky enough to secure his first job working with Helispirit, flying scenics flights around the Bungle Bungle Range and Katherine Gorge. Looking forward to the future, Jerome is wanting to further his Helicopter training and move more into agriculture in the aviation sector. Originally from Reunion Island, Clement moved to Australia in October 2006 to study a diploma for the builders’ registration after high school, then aged 18. Several years later while on holidays back home, he went on a helicopter scenic flight of the island in a twin squirrel. The flight and perspective of the island was amazing and I walked out of it with one goal, becoming a helicopter pilot. That night he started his research for a helicopter flight school in Perth. A couple of weeks later he was back in Perth and after completing a trial flight with Heliwest, he began his training toward his commercial pilot licence. His training took two years to complete, training on a part time bases whilst working full time in the building industry, passing his CPL flight test in January 2015. Clement was then given the opportunity to conduct scenic flights for Heliwest on a casual basis during weekends before receiving the opportunity to go to Cairns for a check ride and interview after applying for a junior pilot position with Nautilus Aviation. Barely a month later he had his bags packed up and was moving to Cairns before being sent up to Horn Island for his first full time pilot job. He has been working for Nautilus Aviation ever since and is based on Horn Island flying charter work all over the Torres Straits in a R44, building up hours, gaining valuable experience and working his way up towards the next step, turbine machines.